Invisalign or ‘clear braces’ is a popular way to straighten your teeth without the use of traditional metal braces. Suitable for children, teens, and adults, Invisalign consists of a series of custom-made aligners that slowly move your teeth. 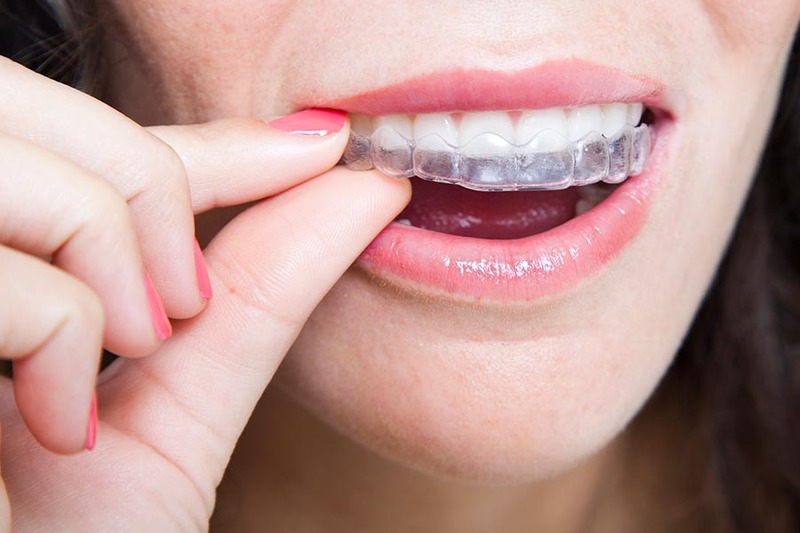 Invisalign aligners are constructed out of smooth and nearly transparent plastic that you wear over your teeth at all times except for when you’re eating or brushing. Each aligner is replaced every two weeks as your teeth gradually move. One of the best things about Invisalign is that can completely transform your smile without anyone else knowing you have braces. During your consultation, we will evaluate your needs and determine if you’re a suitable candidate. While Invisalign can help patients with simple to complex dental issues, it’s not suitable for everyone. During this consultation, you will have an opportunity to ask any questions you may have and address any concerns. If you are thought to be a good candidate for Invisalign, we will create a treatment plan based on your x-rays and impressions of your teeth. From these sources and an evaluation of your teeth, we will give you an approximate treatment length. While treatment lengths can vary depending on the condition of your teeth, most treatments take at least one year. Once impressions of your teeth have been made, we will send them to a lab to have a series of custom-made aligners made exclusively for your mouth. Unlike traditional metal braces, these BPA-free plastic aligners will not irritate your gums or cheeks. The aligners fit over your teeth and should be worn throughout the day and night. Only remove the aligners when you eat or brush your teeth. Every two weeks, you will need to switch to a new set of aligners as you progress with your treatment. You will also need to visit our Matthews dentist about every six weeks to monitor your progress. Once your treatment is over, you’ll be left with a beautiful, straight smile.